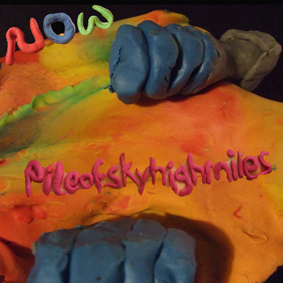 Between a raucous start & finish, Now's third album for Clinical Archives, "pileofskyhighmiles", captures a selection of sensitive, carefully crafted experimental pop tunes & is the least studio-manipulated of Now's albums. 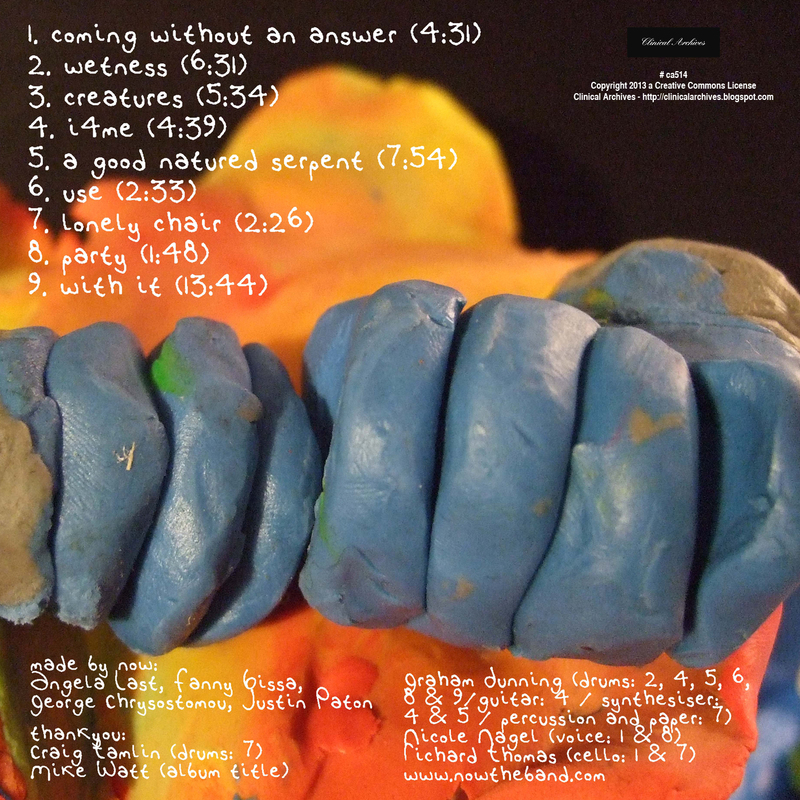 Minimal, yet varied, the songs capture a process of organic recording & collaborative song-writing, more closely reflecting the band's live sound. Since their foundation in 1998, Now have released eight albums, contributed exclusive tracks to many compilations, collaborated with underground musicians (such as Damo Suzuki, leading to the release of the joint album "The London Evening News", Charles Hayward & The Go! Team's Kaori Tsuchida) & have played inside & outside the UK, including a 2009 Japan tour (released as "Ooo-doo-sigh" by Clinical Archives) & regular visits to Norway. Live, Now move between melodic songs & energetic improvisation. Now could be described as catchy, contemporary, inventive, exotic, melodious, harmonious & disharmonious 21st century pop music.